"It's why I deal with youth -- there are no issues, no drama. All the drama is whether you win or not, and 10 minutes later, whether you did or not, you go get your chocolate." - Carl Lewis on working with kids in the Hershey's Track and Field Games, a program that "draws millions of kids into track and field". In this article he talks about his work with the "Project 30 Report" which outlined problems with US track and field after the 2008 Olympics so we could hit the goal of 30 medals in 2012. Lewis points out a big problem in how we always choke in the relays, saying "The reality is that we're talking about 30 medals and we still haven't figured out how to pass the baton. The last two championships, the men have not passed the baton. That's a huge problem. We had two gold medals that were guaranteed all the time and now we can't get a medal, period." 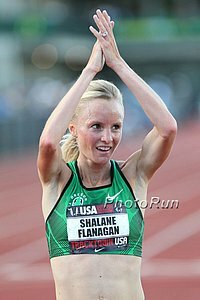 Provisional Entry Lists For Stockholm DL The women's 5k will have a good match-up between OTC's Sally Kipyego, Vivian Cheruiyot, Shalane Flanagan, and Viola Kibjwot. In the men's 1500 Silas Kiplagat, Asbel Kiprop, and Nick Willis vs US runners Russell Brown, Andrew Wheating, Lopez Lomong, Will Leer, Leo Manzano and David Torrence. The women's 800 has Caster Semenya, Morgan Uceny, and Kenia Sinclair. 3k steeple: Paul Koech (guy Brimin Kipruto needs to thank for almost getting him the WR) headlines field that includes US's Dan Hulling and Kyle Alcorn. UK's Olympic 400m Champ Christine Ohuruogu Was Originally The "Poster Girl" For The London Olympics She was replaced by heptathlete Jessic Ennis after she received a 1-year ban for missing three drug tests. Chris Solinsky Tweets About DNF & Admits He Should Have Finished Race: "Tough Pill to swallow! Should gotten back on to at least get A standard 4 next year, but emotions (angry) took over. Back 2 Amy & training." LRC Fight In Men's 1,500, Chaos In Men's 5,000 As Farah Outkicks Lagat, Lagat Gets AR, Rupp And Solinsky Both DNF, Uceny Gets Beaten, So Does Felix, And Bolt Struggles The Monaco meet was incredible. 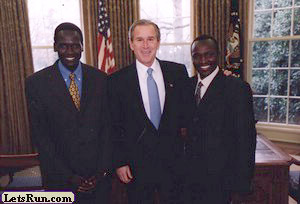 The highlight was Brimin Kipruto missing by .01 the World Record in the steeple. That was so shocking and unexpected, it gets its own article here. 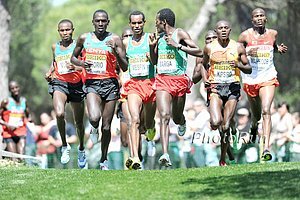 In the other crazy action, after some bumping and shoving, Mo Farah is definitely the best distance runner on the planet, Bernard Lagat improved his American 5,000m record, Galen Rupp went down, Chris Solinsky ran into a bush with 2 to go, Morgan Uceny got beaten, and much much more (Nick Symmonds 1:43, KD right behind him). Read all about it, with results and video highlights. 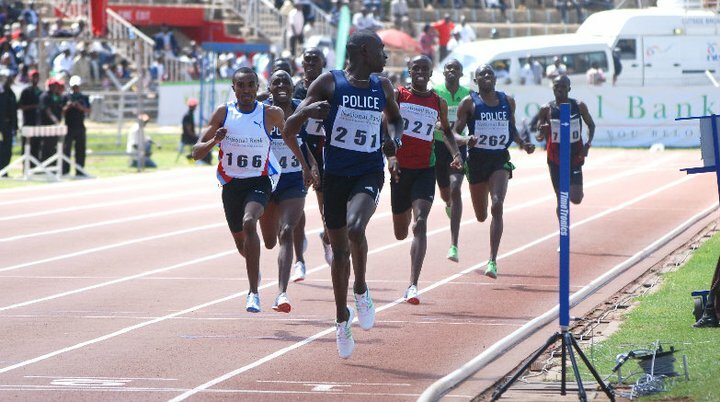 LRC Brimin Kipruto Misses Steeplechase World Record By .01!!! The men's steeplechase was magical in Monaco. Brimin Kipruto, the Olympic champion, who had never previously broken 8 minutes, came within .01 of the world record thanks to some gutsy frontrunning by Paul Koech. Koech, hoping to be put on the Kenyan team for Worlds, ran like a man possessed and at the bell, Kipruto was only 3rd. A stunning final last lap nearly brought Kipruto the world record. The run was so good it gets its own story. Rest of Monaco is recapped here. On The Boards: Kipruto 7:53.84 SC! BBC Recap Of UK Action In Monaco: Tiffany Ofili-Porter Follows Mo Farah's NR With One Of Her Own In 100m Hurdles (12.60) Phillips Idowu won the TJ. 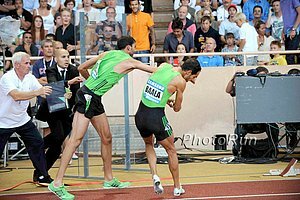 Mehdi Baala And Mahiedine Mekhissi-Benabbad Exchange Blows After 1,500m In Monaco Quotes from Baala. Good Read: UK Independent Takes A Look At Alberto Salazar And Mo Farah "We use science, every bit that we can, on top of old-school training. We are going to train as hard as anybody else, and then we're going to train more by adding things that don't get us injured." It's Official: Allyson Felix Doing The 200/400 Double At World Champs She is seeking to make history twice as no one has ever won the 200/400 double World title and she is seeking an unprecedented 4th straight World title in the 200. Video Interview With Ryan Hall: Talks About His Training And Racing Since Boston Says he's enjoying the freedom of being self-coached as he's on the Europe circuit with Sara and training wise he's really learned to listen to his body rather than "be a slave to a schedule." Carl Lewis Was Part Of "Project 30" Report Group that was formed after a disappointing 2008 Olympics to assess the issues and problems in US track and field so that they could be corrected and help the US hit the goal of 30 medals in 2012. He said a big issue lies with the relays and that "we're talking about 30 medals and we still haven't figured out how to pass the baton". Coaches Try To Increase Interest In The Sport By Holding Pole Vault Competition On The Beach Rory Quillder won the men's elite class with 17.6ft, while Jess Mira won for the women in 11.6 ft. The event was held in Lake George, NY. After Pulling Out Of Lucerne DL With Hand Injury Yelena Isinbayeva Says She Is Fine To Compete She will still compete in Stockholm this Friday. Article also mentions that Russia Athletics did not make her compete at their national championships to gain selection to WC's team as most nations do. Finnish Savo Games: Colombia’s Catherine Ibarqueno’s 14.59m TJ Highlights Meet Australia’s Youcef Abdi won the steeple in 8:16.41. Recommended Read WSJ: Former Marathon WR Holder And 4-Time Chicago Winner Khalid Khannouchi Trying To Make One More Comeback To Competitive Running At 40 years old, he's suffered many injuries and hasn't really been healthy since 2008 OTs, where he was 4th (article incorrectly has him at 7th). 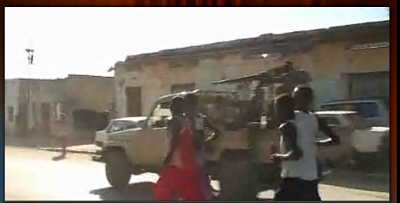 But he says, "I still have that mentality, that discipline. The people around me still see that hunger in me." After Getting 2nd To Caster Semenya In Berlin 2009, Kenya's Janeth Jepkosgei Is Looking To Get Back Her World Title Also talks about doubling 1,500/800 at the Olympics. 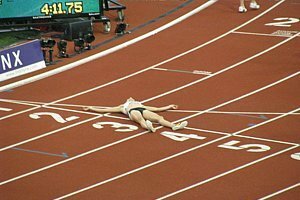 Another Article Questions If We've Hit The Peak Of Human Performance In Sprinting It even says we may start regressing "as sedentary lifestyles take an evolutionary hold on athleticism." Top Amputee Distance Runner Amy Dodson Suspended For Positive Test For A Banned "Weight-Management Drug"
*UK's Olympic Champ Christine Ohuruogu Wins 400m In 51.49 UK's Andy Turner ended WR holder Dayron Robles' winning streak in the 110m hurdles, after Robles hit a hurdle and finished last.